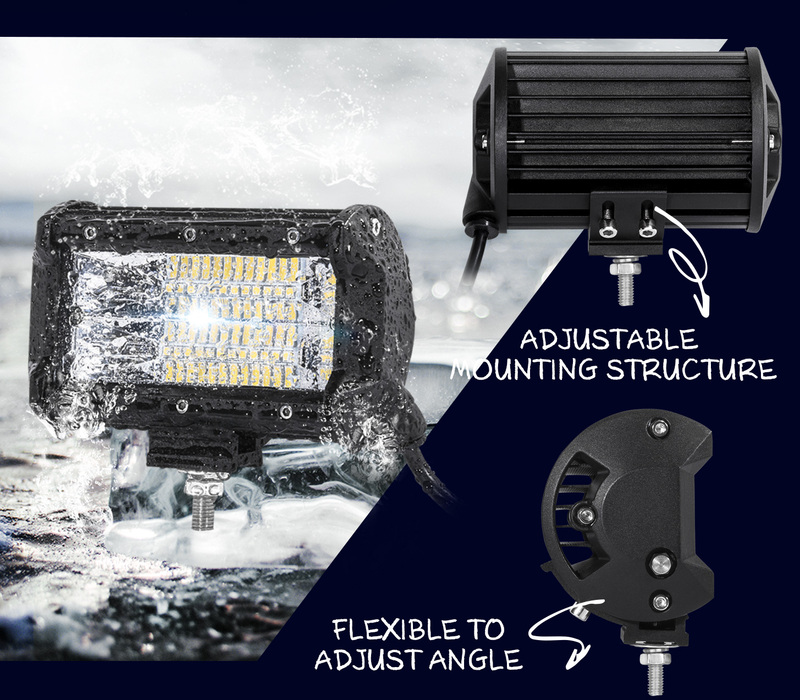 Overview:Our Apollo series 4 inch LED light bars are designed to produce illuminate the whole close range area. 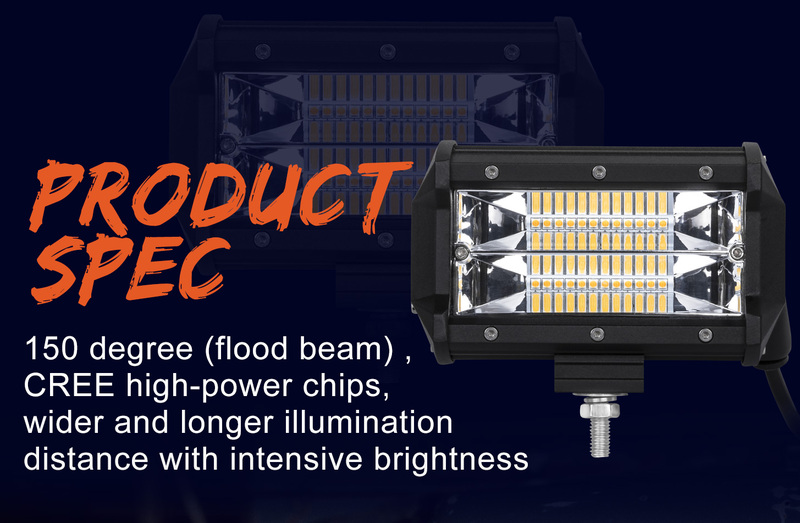 Its’ unique flood reflector design projects super wide 170° horizontal spread projection, which is even wider than a traditional 20inch light bar. Given its super compact size, you can easily mount them anyway on your vehicle, whether at the back as reverse light, or at the front to increase the visibility on the road side. 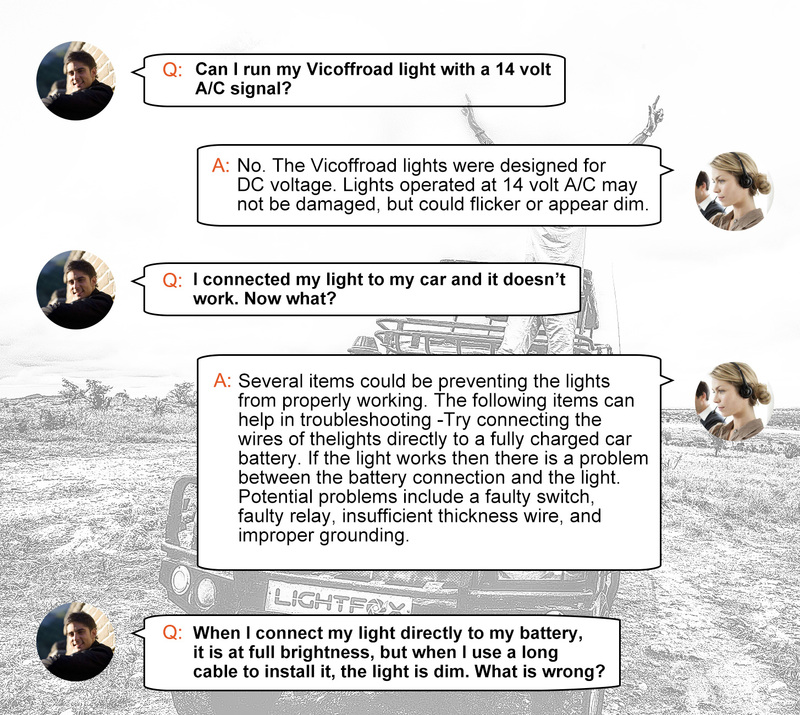 Heavy duty built and IP68 rating allowed the light bar to survive through harsh Australian outback conditions such as river crossing and sand storm. 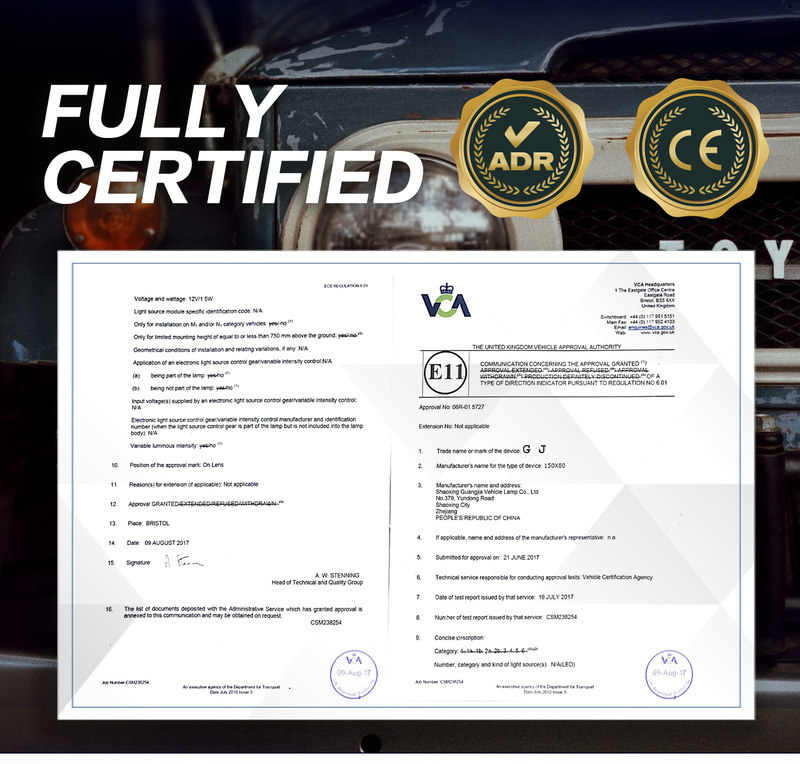 Performance:Featuring 24 Philips Lumiled® LUXEON LEDs which produce incredible amount of luminous flux while maintaining low power consumption, maximize the fuel economy of the vehicle. 6000K warm white colour temperature provide great visibility while reducing eye fatigue especially for long night drive. 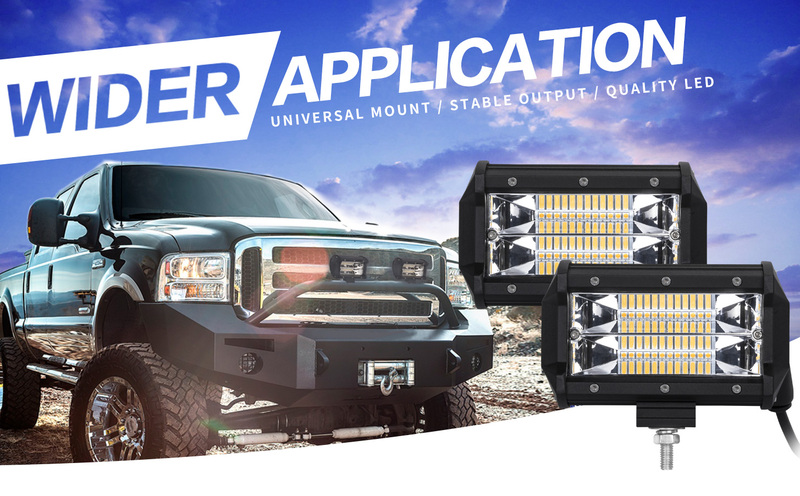 The light bar consists of intelligent low amp draw stabiliser which maintain a low current draw on the LED chips, increasing the lifespan of the light bar by 50%. 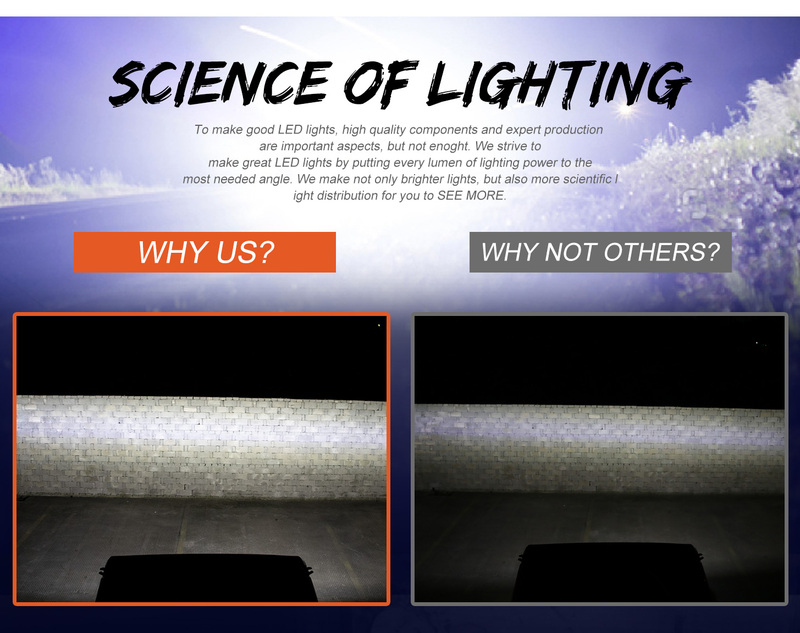 Lighting Pattern:Unique DOUBLE row spread beam offers 170° super wide horizontal projection on both ends of the light bar, lighting up all the surrounding and allowing driver to spot wildlife or obstacles which could not be seen on standard high beam or traditional 60° spread light bars. Heavy Duty Design:IP68 dust/particle tight and water proof up to 3 metres depth. 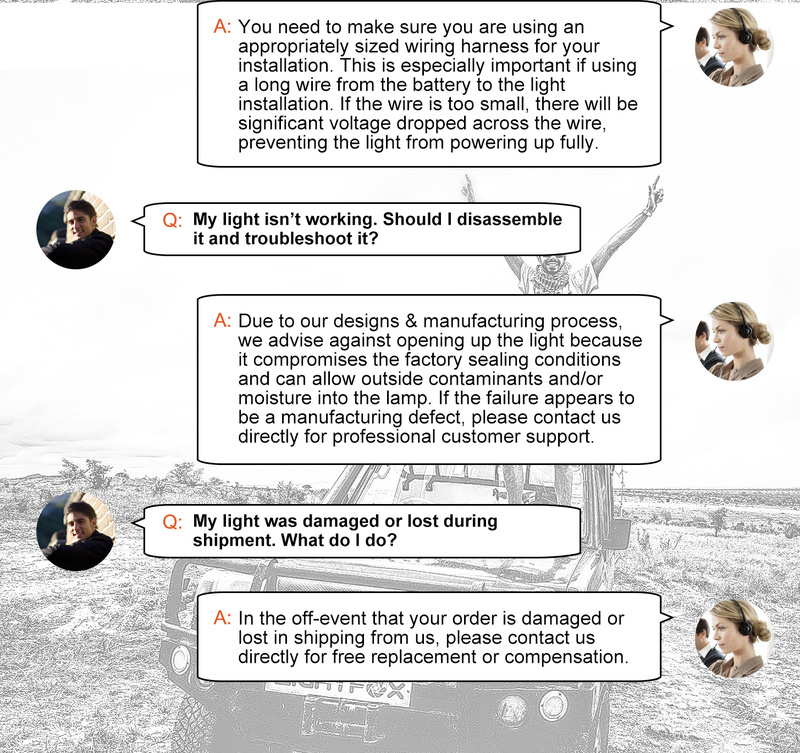 Industrial grade heavy duty Diecast Aluminium body with 3mm PMMA lens will ensure that the light bar will survive long in harsh outback condition. Oversized finned heat sink provide efficient cooling, increasing the lifespan of the light bar. Military grade protective vents equalize the pressure while protecting electronics of the light bar. 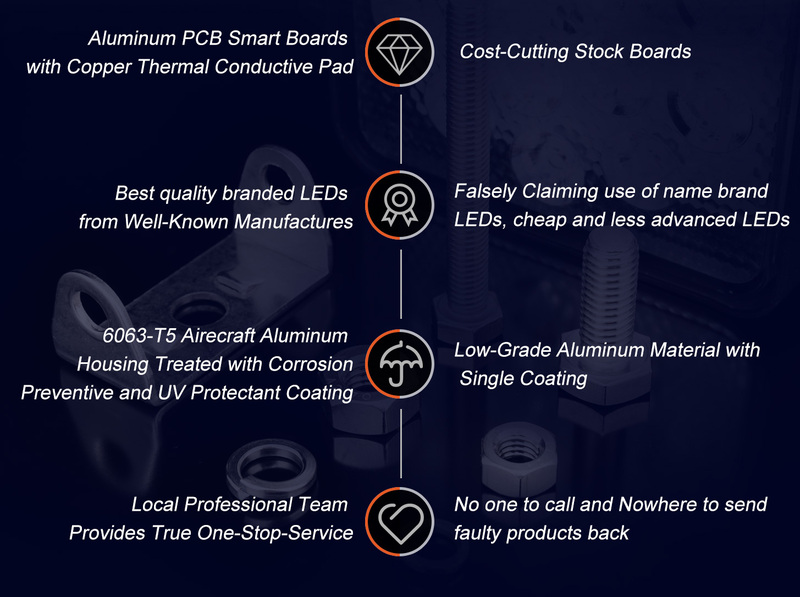 Waterproof Deutsch connector provide safer and easy installation of the light. 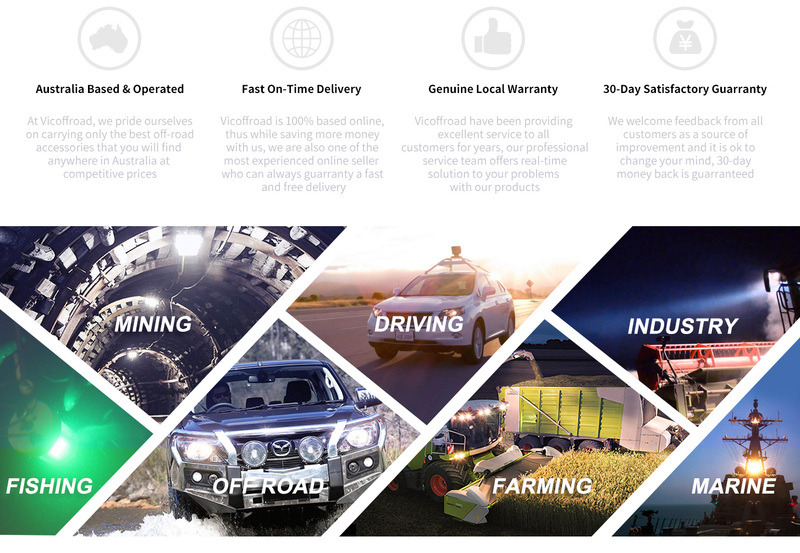 Mounting System:Come with pair of Aluminium Firm adjustable bracket, which allow full flexibility in installation, allowing the light bar to be mount on any pre-existing mounting holes on bull bars, number plate brackets, nudge bar and roof racks without the worrying of breaking.